Cheese Blintzes & Ivan Ramen & Russ & Daughters Books GIVEAWAY! As you read in my NYC series, some of the highlights of my trip to NYC over Thanksgiving weekend were discovering Ivan Ramen and Russ and Daughters. One a new establishment launched first in Japan vs. the other that is a part of the history of the Lower East Side, Manhattan. The books however both telling us about their journey which I find fascinating. Great reads with some recipes. I purchased my copies through Amazon, but I really wished you my readers to get a sense of these two places if you haven't already been yet. Besides I loved both haunts so much that I simply wished to do these giveaways. I reached out to the publishers, Ten Speed (Ivan Ramen's publishers) and Scocken Books a Division of Random House (Russ and Daughters' publisher) who generously agreed to give one copy of each book. Two winners will be announced. Each winner will receive one book, either Ivan Ramen's or Russ and Daughters'. My last giveaway was worldwide, but unfortunately these two books are only available to those of you with a US mailing address. Read about the charms of Russ and Daughters, if you haven't already, in my Jewish Lower East Side, Manhattan: Russ and Daughters post and about Ivan Ramen in The Ramen That Won Us Over post. You can also order Russ and Daughters: Reflections and Recipes from THE HOUSE THAT HERRING BUILT by Mark Russ Federman and Ivan Ramen: Love, Obsession and Recipes from Tokyo's Most Unlikely Noodle Joint by Ivan Orkin and Chris Ying on Amazon as a gift to yourself or as great holiday reads for your family and friends. Stay tuned more NYC highlights and (hopefully) giveaways coming soon. To make the crepes, combine the milk, eggs, and flour in a food processor and process until smooth. Transfer the batter to a bowl and let it rest for 30 minutes. Meanwhile, prepare the filling. Combine the farmer’s cheese, sugar, vanilla, and cinnamon in the work bowl of a food processor and process until smooth. Transfer to another bowl and set aside. Melt a pat of butter in a heavy 8-inch nonstick skillet. * Ladle in just enough batter to coat the bottom of the skillet. (Tilt the skillet to coat it evenly.) Allow the crepe to cook undisturbed until it is set and the bottom is golden brown, 3 to 4 minutes. Loosen the crepe around the edges with a spatula and carefully transfer it to a paper-towel-lined plate. Repeat with remaining batter. You should have enough for about 14 crepes. Spoon about 4 tablespoons of filling down the center of each crepe. Fold in the short ends and then roll up, burrito-style. Serve the blintzes immediately or rewarm in a 250°F oven. *It’s very important to use a nonstick skillet! 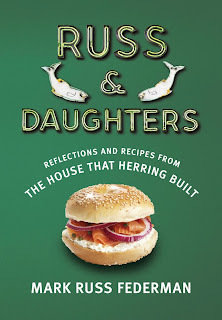 "The review and giveaway copy of Russ and Daughters is a courtesy of Shocken Books. Excerpted from Russ and Daughters by Mark Russ Federman. Copyright © 2013 by Mark Russ Federman. Excerpted by permission of Schocken, a division of Random House LLC. All rights reserved. No part of this excerpt may be reproduced or reprinted without permission in writing from the publisher." I'd have a difficult time choosing...I'm not too familiar with either author so both would be appreciated by me. I love blintzes and cannot wait to try these! Loved your post on Russ & Daughters. It was actually on my to do list for NYC and now I regret even more that I didnt manage to go. I would be very happy about their book! יאוווו שולי הרגת אותי עם הבלינצ'ס הזה!! 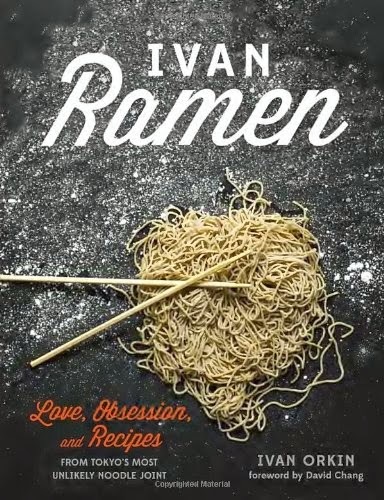 The Ivan Ramen book looks amazing! Fabulous giveaway! I would love to win these books, I adore NYC! Russ and Daughters! My mom's side of the family is eastern European and it would fit in with some things that I already make. They look equally enticing! I would love to win either one...if I get picked you can choose which :) Thanks for the chance! They look equally enticing! I would love to win either one. If I get picked you choose :) Thanks for a chance! 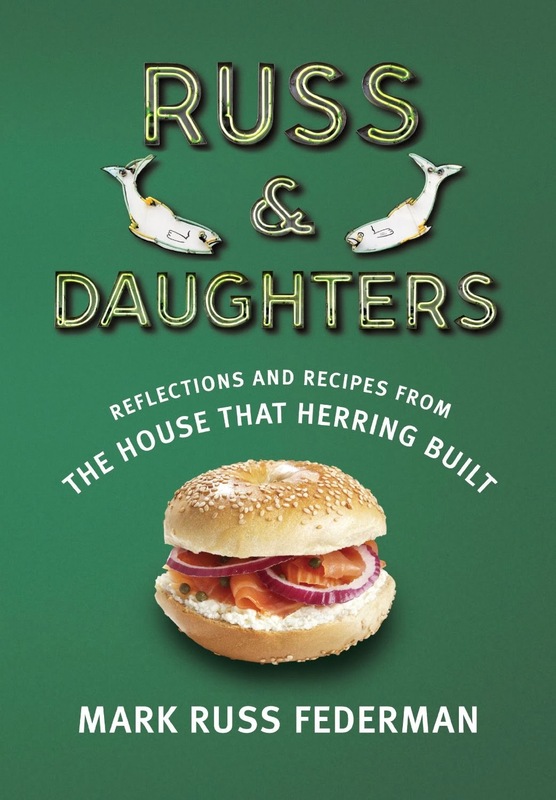 I have always wanted to visit Russ & Daughters, the book will whet my appetite! 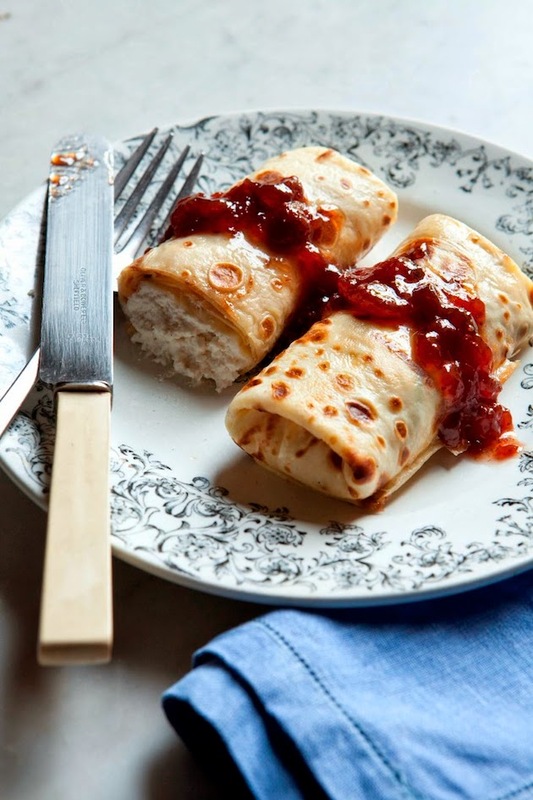 Beautiful blintzes, I love the jam topping! Love reading, love Food Wanderings and love Russ & Daughters. Would loooove to win this book giveaway! Cheers! I, of course, would be happy with either book, but I would love russ and daughter's! And now I want blintzes, too! I'd love to get the ramen book! Ive been eyeing it! Thanks for a great giveaway! I hope I win! Oh my word, these blintzes look delicious! Happy holidays to you and yours, Shulie.